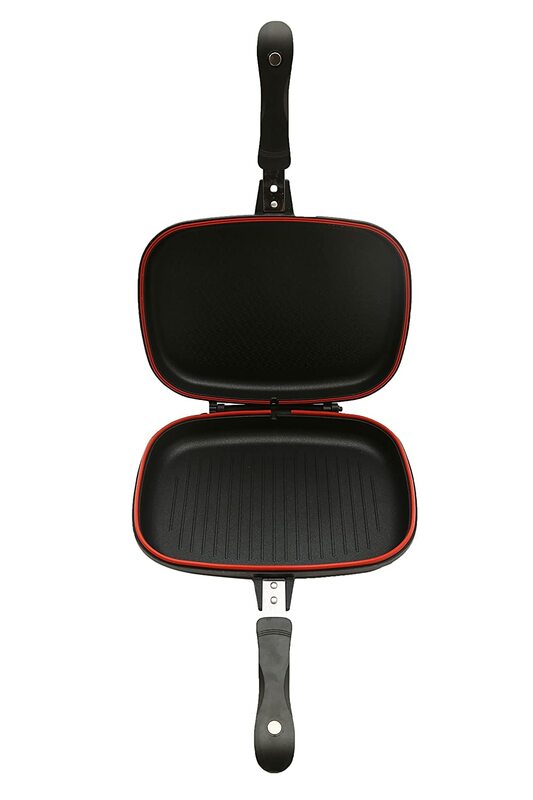 Preparing healthy and delicious dishes is now made easy and convenient with the Double Sided Grill Pan. 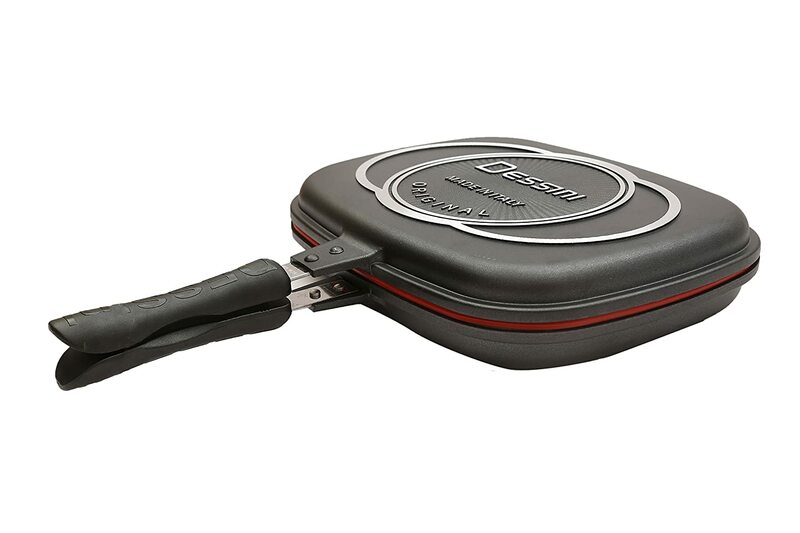 It features a magnetic locking mechanism in the pan handle which serves as second pressure sealant for less smoke and less smell. With silicon seal packing for minimum heat loss and leakage prevention, it also has a drip tray for excess water and oil. 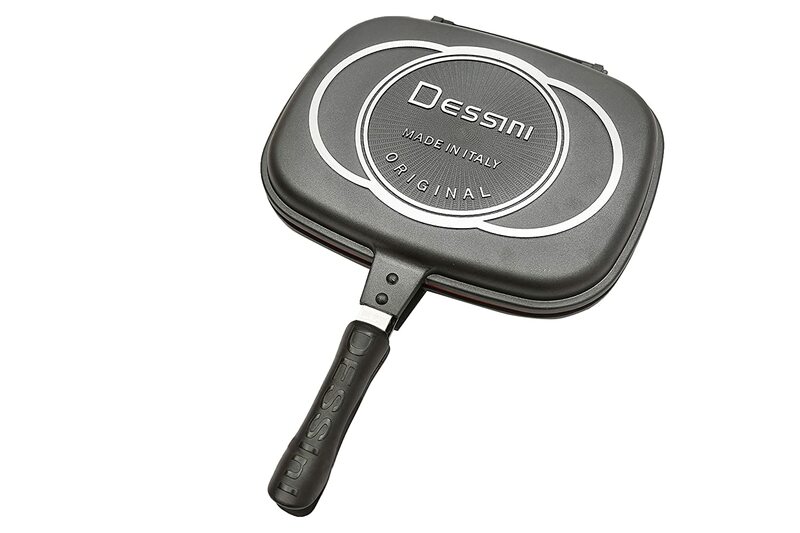 The triple ceramic non-stick coating requires oil-free cooking to retain the food’s flavor, freshness and nutritive value.